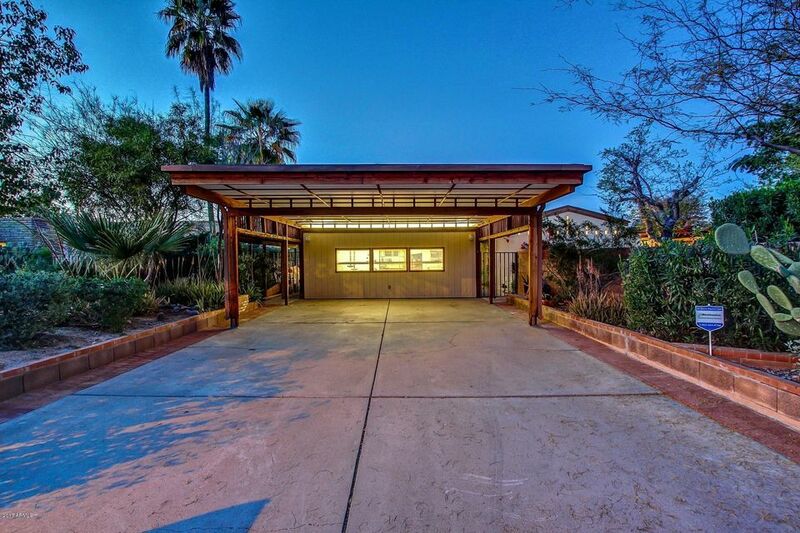 This Mid-Century Modern magnificent original was designed by renowned architect Gabor Lorant, FAIA. The great room is spectacular w/ tiger, engineered wood flooring, raised ceilings, decorative glass blocks & 3 new skylights allowing natural light to pour in. The kitchen has fresh white cabinets, double ovens, walk in pantry, side door for outside access & a pass through window leading to a separate dining area where the family can enjoy a meal & overlook the huge sparkling pool. A guest room with a bath has been added separate from the other bedrooms. The spacious master has a fabulous 22 ft closet & overlooks the lush, private courtyard. There is a large studio for the perfect home office. All 3 A/C units & roof are new w/ significant solar savings conveniently located by the 51 Freeway.